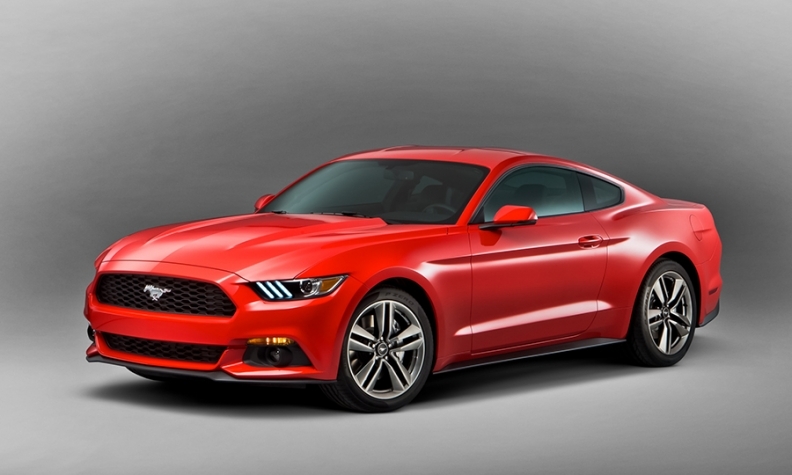 “Just a few minutes behind the new Mustang’s wheel convince you that Ford was aiming high with this car. The cabin isolation, the structural stiffness, the body control, and the finish quality are huge improvements over the last model. Is it all down to the independent rear suspension? Sure, some of it is. Over cracked pavement the car doesn’t shudder or clomp as hard as it did before. And a midcorner pavement heave isn’t going to have you fighting the steering wheel as you once did, because such things are now digested without complaint by the unsprung bits. “This car’s interior is a nice little evolution but nothing astounding. Positives include a smaller diameter steering wheel, which also finally telescopes, something that I find a must-have in most cars. Overall comfort is improved greatly. At 6-1, I was not always comfortable in the previous generation car, and struggled at times to find a satisfactory seating position. That all goes away with the larger and redesigned cockpit, and even these standard seats are quite supportive and sporty. “Most of my driving occurred on highways, and the ride quality is nice, and if I recall the old car, cabin noise levels are noticeably improved as well. The turbo 2.3-liter, based on the 2.0-liter found in the Ford Focus ST, makes nice power and torque (though it’s far from overwhelming or adrenaline pumping) especially when revs climb above 2,700 rpm or so. Look at what tuners are doing to the Focus engine to easily get significantly more power and torque out of it; expect plenty of that to carryover to this larger four cylinder as well. “The 2.3-liter EcoBoost, with 310 hp and 320 lb-ft of torque on tap, is not the first four-cylinder engine in a Mustang, but it is certainly the best. Since 1974, when the Mustang II was just a Pinto in a ponycar costume, Ford has tried to give the Mustang a powertrain with smart performance. It hasn’t been an easy thing to do, and even the 1984 Ford Mustang SVO, with its 175-hp, 2.3-liter turbo four, didn’t make any friends with its unpleasant noise and vibration.